Marcella Gutierrez, Attorney at Law, represented the Ripon Unified School District (District). She was assisted by Ileana Butu, Attorney at Law. Susan Harper, Special Education Coordinator for the District, was present throughout the hearing as its representative. 2 Mother and Father are referred to jointly as Parents. 3 The District filed its initial complaint on March 17, 2011, but amended its complaint twice, the second time on March 24, 2011, when all statutory timelines were reset. 3. Did not consider information about Student provided by his Parents and the NPA, Genesis Behavior Consultants (Genesis); . 7. Determined that school and District discipline policies would apply to Student if his behavior was not controlled by his behavior intervention plan (BIP)? 4 For the record, the District’s closing argument is designated as District’s Exhibit D47 and Student’s closing argument is designated as Student’s Exhibit S-31. 5 The District presented two issues in the complaint that was filed with OAH. The first issue presented by the District in the complaint was whether its IEP offer of February 17, 2011, was an offer of a free appropriate public education (FAPE). However, as will be discussed in the next section, this issue, as presented here, has been rewritten as seven separate issues for the purposes of this decision. The District’s second issue, whether the District could assess Student in the areas of occupational therapy (OT) and assistive technology was resolved by the parties in the course of the hearing. The District argued at hearing, and in its closing brief, that Student’s objections to its IEP offer of February 2011, were “affirmative defenses,” as that is how Student referred to them in his Response to the District’s complaint filed on April 25, 2011. In addition, when Student stated his specific objections to the IEP at the beginning of the due process hearing, he referred to them as “affirmative defenses.” However, Student’s objections are not true affirmative defenses. When a respondent raises an affirmative defense, he essentially accepts as truth all of the allegations in the complaint, but raises novel grounds that call for the defeat of the complaint, and the respondent must prove these grounds with extrinsic evidence. For example, the statute of limitations, laches and unclean hands are all affirmative defenses. Accordingly, the District had the burden of proving that its IEP offer of February 2011 was an offer of a FAPE in all areas, and that certain procedural rights of Student were not violated. Student asserts that the February 2011 IEP did not offer him a FAPE because District violated his procedural rights in several areas. First, he claims that the District did not timely offer him an IEP for the 2010-2011 school year (SY). Second, Student contends that a change in NPA providers was predetermined by the District, and therefore Parents were denied meaningful participation in the IEP decision-making process. Third, Student argues that the District did not consider the information provided to the IEP team by those who knew him best: Mother, and the participants from Genesis which had provided him with the services of a one-to-one aide since August 2006. Further, Student argues that the decision to change NPA providers constituted predetermination, which denied Parents meaningful participation in the IEP process, and thus denied Student a FAPE. Lastly, Student claims that some of the baselines contained in the IEP of February 2011, were inaccurate. Substantively, Student argues that the February 2011 IEP, denied him a FAPE because it did not include a transition plan for Student when it replaced Genesis with Learning Solutions. Student also objects to the IEP provision that a District one-to-one aide would serve him for a 30-minute period when the new NPA aide takes a lunch break, claiming that a transition plan needed to be created for this aide’s services. He also questioned the qualifications of the District aide at the hearing. Student claims that a statement in the IEP that permitted the District to follow school and District policies when disciplining him, violated his protections under the Individuals with Disabilities Educational Act (IDEA), and thus denied him a FAPE. 6 Student’s objections to the IEP have been reorganized in this Decision for clarity. The District argues that the February 2011 IEP offer, was reasonably calculated to offer Student some educational benefit, complied with the law, and offered him a FAPE. The District contends that there is no requirement that an IEP be developed in a specific time after the initial annual IEP team meeting has been convened. The District also contends that it considered the views of Mother and Genesis staff, and it did not predetermine the IEP in replacing Genesis. The District claims that it may legally change the provider of a service from one NPA with another without obtaining parental input, and it need not develop a transition plan in the IEP for this change. The District argues that replacing the NPA aide with a qualified District aide for 30 minutes to permit the NPA aide to have lunch, does not deny Student a FAPE, or require a transition plan. Finally, the District contends that Student was not denied a FAPE because the IEP included a sentence that subjected Student to school and District’s disciplinary policies. 1. Student is 10 years old, and resides with Parents within the jurisdictional boundaries of the District. Student attends Weston Elementary School (Weston) in the District, and was placed in a third-grade general education classroom populated with typically developing children for the 2010-2011 SY. 2. Student is eligible for special education services under the primary disability category of autistic-like behaviors. The evidence established that Student functions much like his typically developing peers in the school setting in many areas, but he has deficits in several areas, especially in social skills and self-regulation. 3. When Student began kindergarten in 2006, he was placed in a general education classroom for the majority of the day, and was always accompanied by a one-to-one aide from the NPA, Genesis. Since that time, he has always had a one-to-one aide for the entire school day who provided him with behavioral intervention services, and some academic support. Genesis also provided behavioral consultation services to the District. At the heart of this matter is the District’s decision to replace Genesis with another NPA, Learning Solutions, for the 2010-2011 SY, beginning in February 2011. 4. Student has historically required a one-to-one aide to help him initiate and complete tasks, to stay focused, and also to provide him with behavioral interventions. Student has a history of aggressive behaviors in past school years, such as hitting, spitting, biting and throwing objects, but these behaviors have not been seen during the 2010-2011 SY. Student also has a history of tantrums although these have decreased. In September 2010, Student had four tantrums, and as of February 14, 2011, it was reported that he had no more tantrums since September 2010. Student’s aggressive behavior and tantrums historically occurred when Student was denied access to a preferred activity or object. 5. One of Student’s behaviors that has continued is “scripting”. Scripting is Student’s tendency to repeat phrases, and sometimes complete dialogue, that he has memorized from video games, movies, and television shows, for example. Student uses scripting as an avoidance tactic when he is asked to perform tasks which are not interesting to him, or are challenging. At the beginning of the 2010-2011 SY, Student engaged in scripting approximately two times each day. By February 14, 2011, this behavior was only occurring two times each week All of Student’s maladaptive behaviors were far more frequent and severe before he began receiving aide services, and he has made significant progress each school year in this regard since 2006. However, the evidence established that Student still needs an aide in order to receive educational benefit due to his scripting behavior, his limited ability to understand classroom directions, his inability to remain focused during class, and his limited social skills. 6. An IEP is an educational package that must target all of a student’s unique educational needs, whether academic or non-academic. The term “unique educational needs” is to be broadly construed and includes the student’s academic, social, emotional, communicative, physical, functional and vocational needs. 7. A procedural violation will be actionable only if the violation: (1) impeded the child’s right to a FAPE; (2) significantly impeded the parent’s opportunity to participate in the decision-making process; or (3) caused a deprivation of educational benefit. 8. The IEP offer that is at issue in this matter was drafted at three IEP team meetings, the first occurring November 8, 2010, the second November 22, 2010, and the last on February 17, 2011. This IEP, and Student’s previous IEP from May 14, 2010, signed by Mother on July 31, 2010, calls for him to be placed in a general education classroom. The February 2011 IEP requires Student to spend 60 minutes each day in a resource specialist program, referred to as the Learning Center. The May 2010 IEP only required 30 minutes each day in the Learning Center. Student is also provided with group and individual speech and language therapy three times a week for 30 minutes each week, and OT for 60 minutes a week, although the February 17, 2011 IEP calls for the elimination of direct OT services.7 New annual goals were developed for Student in the May 2010 IEP, and some of these goals were modified, at the IEP team meetings held on November 8, 2010, and February 17, 2011. There are also a few new goals in the February 2011 IEP. 9. At the due process hearing, Student stipulated that, with the exception of those areas in which he raised objections, the IEP of February 17, 2011, is one which addresses his unique needs, and was designed to provide him with educational benefit. 10. School districts are required to have an IEP in place for each eligible child at the beginning of each school year. An IEP must be reviewed at least annually to determine whether the annual goals are being met, and at that time the school district must revise the IEP as appropriate to address any lack of expected progress, new assessments, information provided by parents, the child’s anticipated needs, or any other matter. IEP team meetings must be convened at a time and place mutually agreeable to the district and parents. Although there is a requirement that an annual IEP team meeting be convened by a certain date each year, usually based on when the student’s initial IEP was developed, there is no statutory, case or regulatory authority as to when the process must be completed. If a parent refuses to consent to an IEP offer, a school district may file a due process complaint and ask for a ruling allowing it to implement the IEP without parental consent, as the District did here. 11. The IEP of May 14, 2010, stated that Student’s annual IEP was due on November 16, 2010. The District scheduled an annual IEP team meeting for November 8, 2010, which was attended by Mother and all required IEP team members. This IEP team meeting lasted several hours, which was not unusual for Student’s IEP team meetings. When the meeting concluded, the IEP team had not finished discussing the District’s proposed goals. It was still premature for the District to make an offer of placement and services. The IEP team meeting was then scheduled to resume on November 22, 2010, a date that was agreed to by all participants. 12. One hour and 15 minutes before the beginning of the November 22, 2010 meeting, Mother called the District to say Parents were unable to attend. Apparently Mother agreed that the meeting could continue without her, because the meeting was held, and Mother did not raise her absence from this meeting as an issue in this matter. At the IEP team meeting of November 22, 2010, District personnel and two Genesis staff members discussed Student’s daily schedule, reviewed the District’s proposed goals, and reviewed a transition plan that the District planned to use when Student was transitioned from Genesis aides to District aides.8 The meeting was then continued to December 16, 2010, a date that was agreeable for all participants. 7 This elimination of OT services is not ripe for adjudication because the parties are waiting for the results of an independent OT assessment that was scheduled to begin after the due process hearing ended, and direct OT services continue to be provided to Student. Accordingly, the appropriateness of District’s OT offer is not an issue in this case. 13. Shortly before the IEP team meeting scheduled for December 16, 2010, one of the District participants, Camille Taylor, former Special Education Director for the District, notified the District that she could not attend the IEP meeting that date because one of her parents had been unexpectedly hospitalized. Ms. Taylor was the Special Education Director for the District from 2006 to 2009, and from 2009, to the beginning of the 2010-2011 SY, she was the Director of Student Services. In this capacity she had become very familiar with Student’s case, and participated in most of his IEP meetings over the previous two to three years.9 Because Ms. Taylor could not be present, the District canceled the IEP team meeting scheduled for December 16, 2010. The last day of school before winter break began was December 17, 2010, and school did not resume until January 10, 2011. 14. On January 5, 2011, Ms. Harper sent Mother an email suggesting several dates for the continuation of the IEP process. Mother chose January 25, 2011. However, one of Mother’s parents died unexpectedly on January 20, 2011, and she had to travel overseas and did not return until February 3 or 4, 2011.10 The IEP team meeting was then rescheduled for February 17, 2011, at which time the annual IEP offer was made by the District that is the subject of this Decision. On March 11, 2011, Mother informed the District that she would not consent to this IEP, and the District filed this case on March 17, 2011. 8 The plan to transition Student from Genesis aides to District aides was first discussed at an IEP team meeting in December 2009. 9 The earliest IEP documents submitted into evidence were from May 2008. Ms. Taylor participated in that team meeting, as well as all but one of the IEP team meetings held for Student thereafter. Although she retired from the District at the beginning of the 2010-2011 SY, Ms. Taylor continued to work on special projects for the District on a contractual basis, one of which working as a member of Student’s IEP team on behalf of the District. 10 In his closing brief, Student argues that the District could have attempted to contact Mother while she was overseas following the death of her parent via conference call, and convened the IEP team meeting in that manner. In the alternative, Student argues that the District could have asked Father to participate in an IEP team meeting on January 25, 2011, although historically Mother was the person who attended and actively participated in all IEP team meetings. Ms. Harper, who had assumed the responsibility of convening the IEP team meetings, testified persuasively that she was waiting for Mother to contact her to reschedule the IEP team meeting after January 20, 2011. Because Ms. Harper had recently lost one of her own parents, she was particularly reluctant to initiate contact with Mother to reschedule the IEP team meeting, when Mother was overseas, and in mourning. Student then argues that the District could have held the IEP team meeting without a parent being present pursuant to Education Code section 56341, subdivision (h). However, this option would still have necessitated contact with Mother to make reasonable efforts to set a date as required by law, and to gain parental consent to proceed with the IEP team meeting without parents being present. 17. The next IEP team meeting that is documented was held on May 14, 2010. Some of the same goals that were part of the December 2009 IEP offer that Mother rejected in February 2010, were included in this IEP. Some other goals from that IEP were modified. On July 31, 2010, Mother signed and initialed her consent on each page of the IEP dated May 14, 2010, including the pages containing Student’s goals. This IEP called for the next annual IEP team meeting to be held no later than November 16, 2010. 18. The District began implementing the goals from the May 14, 2011 IEP, at the beginning of the 2010-2011 SY, and was implementing them until the first day of this due process hearing, May 16, 2011.12 The evidence does not establish that Student was denied a FAPE because the District did not make an IEP offer until February 17, 2011, and therefore he was working on “obsolete goals.” The goals from the May 14, 2010 IEP team meeting were not reiterations of goals from his last agreed to and implemented IEP of January 28, 2009. It is readily apparent that many of the goals initially presented at the annual IEP meeting of November 16, 2009, were subsequently modified by the time they made their way into the IEP of May 14, 2010, and they were new goals. Further, even if it were found that Student required new goals by the time of the IEP team meeting of February 17, 2011, the evidence established that Mother had no objections to the goals as finalized at that meeting, and that was her testimony at hearing. Parents could have consented to the implementation of some or all of those goals, although they disagreed with other aspects of the IEP, and this was something they had done in past school years. 11 There was no evidence as to what occurred after Mother rejected this IEP, although it appears that the May 14, 2010 IEP team meeting may have been a continuation of the IEP process begun in November 2009. 12 At the beginning of this due process hearing, Student’s attorneys consented to the February 2011 proposed goals on the record. 20. A party has the right to present a complaint “with respect to any matter relating to the identification, evaluation, or educational placement of the child, or the provision of a free appropriate public education to such child.” Predetermination occurs when an educational agency has decided on its offer prior to the IEP team meeting, including when it presents one placement option at the meeting and is unwilling to consider other alternatives. The District contends that its IEP offer complied with the law and offered Student a FAPE even though the NPA provider for Student’s behavioral services was being changed. Student contends that the District “predetermined” the termination of Genesis as Student’s aide provider, and this denied Parents meaningful participation in the IEP process. Therefore, he argues that the IEP of February 17, 2011, should be invalidated in its entirety. 21. Genesis began providing Student with a full-time aide in 2006. The parties do not dispute that the District had the right to replace Genesis with Learning Solutions in 2011, and that change, in and of itself, was not a change that necessitated a new IEP. Rather, Student claims that this change in providers violated his procedural rights because it was an impermissible predetermination by the District that denied Parents meaningful participation in the IEP decision-making process. 22. A school district is required to provide services to a child with a disability who qualifies for special education that will meet his unique needs and provide him with a FAPE. Clearly, agencies and district personnel who provide these services must be qualified, and the law provides for this. However, the IDEA and California law do not require school districts to hire specific individuals, or contract with specific NPAs, nor does OAH have jurisdiction over a decision to change service providers. 23. Mother was informed verbally at the December 15, 2009 IEP team meeting, that the District wanted to transition Student from Genesis aides to District aides. However, when the parties finally negotiated a new IEP for Student on May 14, 2010, the District agreed that Student was to be provided with an aide provided by a “Nonpublic agency (NPA) under contract with SELPA [special education local plan area] or the district.” This identical language is contained in the IEP of February 17, 2011. The District’s contract with Genesis ended following the 2009-2010 SY. The District unsuccessfully tried to find a replacement NPA for Genesis before the beginning of the 2010-2011 SY, and subsequently renewed the Genesis contract. 25. Student concedes that the District was within its rights to change NPA providers. Clearly, any contracting decision made by a District is, per se, predetermined. Otherwise, contracts would never be written or executed. However, this is not the type of predetermination prohibited by the IDEA. Instead, the law generally prohibits “take it or leave it” offers of specified placements or services. The decision to contract with one qualified service provider rather than another does not constitute a change of placement. The District did not unilaterally predetermine that Student no longer needed the services of an aide, which would constitute a change of placement, but merely made a business decision to contract with a new provider when Genesis and the District mutually terminated their contract. The District established that a decision to change NPA providers was not a change of placement that was “predetermined,” and thus, Student’s claim that the IEP of February 17, 2011, should be invalidated, fails. 14 There was testimony at the hearing in this matter that the District, especially Ms. Taylor, had not been happy with Genesis’s services for some time, and specific examples were given as to why she felt Genesis was not meeting its contractual obligations. However, since a school district may legally replace one service provider with another, and the District and Genesis mutually agreed to terminate their contract in January 2011, this testimony was not relevant to the issues in this case and has not been considered. 26. When an IEP team meets, the views of all IEP team members must be considered. Student contends that the District did not consider the views of all members of the IEP team, especially those of Mother and two Genesis representatives, Amalie Holly and Alyson Dyer, when it made its offer of February 17, 2011. 27. As previously noted, the crux of the current dispute between the District and Student is the District replacing Genesis with Learning Solutions. When Student contends that the District did not consider the views of Mother and Genesis staff, he is focusing on the fact that Parents were vehemently opposed to the change of NPA providers and the District purportedly disregarded their opposition. However, considering the views of individual IEP team members does not mean the other IEP team members must agree with those views. 28. Mother attended the IEP team meeting of November 8, 2010, as did Ms. Dyer. Because the District had decided during the 2009-2010 SY to eventually replace Student’s Genesis aides with District aides, one of the items on the agenda at the IEP team meeting of November 8, 2010, was the discussion of a transition plan to be implemented when the District commenced this process.15 However, the IEP team did not reach this part of the agenda before the end of the November 8, 2010 IEP team meeting. 29. At the November 8, 2010 team meeting, Ms. Dyer presented her report about Student’s progress on his behavioral goals. Mother actively participated, asking questions about these goals, and other goals that were discussed, and she requested information about Student’s curriculum, which was provided to her. The evidence established that the IEP team considered the views of both Mother and Ms. Dyer at this meeting. of the November 22, 2011 IEP team meeting to say Parents could not attend. However, Student did not raise lack of parental participation at this meeting as an issue, and did not claim that the February 2011 IEP denied him a FAPE because District held the November 22, 2010 IEP team meeting without Mother’s participation. Therefore, it is assumed that Mother waived parental participation for this meeting. Initially the notes from the IEP team meeting of November 8, 2010, were reviewed. Student’s daily schedule was then discussed. Finally, there was a discussion about whether Student required a transition plan for the replacement of Genesis aides with District aides, and what an appropriate transition plan would be if this occurred. Ms. Dyer and Ms. Holly were active participants at this IEP team meeting, particularly during the discussion about a transition plan if Genesis were to be replaced by District aides. The evidence established that their views were considered. 15 The District subsequently decided not to replace NPA aides with District aides, at least not in the 2010-2011 SY. The decision to replace Genesis with Learning Solutions was made in January 2011 after Genesis and the District decided to terminate the Genesis contract. 31. When Mother was informed that Genesis was being replaced in January 2011, she engaged in email communications with the District, protesting the change. She also actively participated in the IEP team meeting of February 17, 2011, questioned the owner and executive director of Learning Solutions, and proposed changes to a few of the goals developed prior to that meeting. Ms. Dyer also presented the latest report from Genesis. The evidence established that the District considered the comments and suggestions from Mother and Genesis personnel throughout the IEP process begun in November 2010, and ending in February 2011. Accordingly, the District did not commit a procedural violation by failing to consider the views of all participants in the IEP process. 32. In developing the IEP, the IEP team shall consider the strengths of the child, the concerns of the parents for enhancing the education of their child, the results of the initial evaluation or most recent evaluation of the child, and the academic, functional and developmental needs of the child. For each area in which a special education student has an identified need, the IEP team must develop measurable annual goals that are based upon the child’s present levels of academic achievement and functional performance. The purpose of measurable annual goals is to permit the IEP team to determine whether the pupil is making progress in his or her areas of need. 33. Student contends that the IEP of February 17, 2011, is procedurally defective because some of the information about Student regarding his present level of functioning is inaccurate, and was inaccurate at the time of that final IEP team meeting. Baselines should describe a child’s current level of performance at the time of the final IEP team meeting. Baselines can help the IEP team members in later meetings to determine whether Student requires goals in a specific area, and what progress the child is making in meeting his goals because the baselines give a starting point. 34. At the hearing, Student objected to the baselines in the areas of motor development; health and development; reading range and decoding; reading comprehension; written expression; math calculation; and math reasoning. The disputed baselines are contained in a section of the IEP that consists of several pages that discuss Student’s present level of functioning in all areas of potential need. Some of the information contained in these pages is reflected in his goals as his present level of functioning. However, the information contained in this disputed portion of the IEP is not repeated verbatim in the pages that describe the proposed goals. There are no goals for some of the areas described in the baseline section because Student did not show a need for goals in these areas. 35. Student’s objections to the baselines were not supported by any evidence, other than the testimony of Mother, which was not persuasive in this regard. Mother testified that she agreed with the goals that were finalized at the IEP team meeting on February 17, 2011, even though she testified that the baselines contained on previous pages of the IEP were inaccurate or outdated. Student objects to most of the contested baselines because this part of the IEP did not provide specific information about how the baselines were determined. Further, for example, in the area of health and development, the baseline was the same as on previous IEPs, so it was outdated. However, Student did not require a health and development goal, so the fact that the baseline information is outdated is inconsequential. As for the other baselines, the evidence established that they were accurate descriptions of Student’s level of functioning in all of the areas that were addressed. 36. The goals themselves are in compliance with all legal requirements. For example, one of Student’s math goals reflects that Student can now solve math word problems with 40 percent accuracy. The goal is for him to “determine how to break a problem into simpler parts with 70% accuracy [by 11/08/2011] using real coin combinations in 4 of 5 trials as measured by student work samples.” In the previous pages discussing his present level of functioning, it is reflected that Student is “is at 63% In determining which operation to use and 45% in determining which sequence to use,” and that he “has recently regressed and gone back to only being able to accurately count unlike coins with 55% accuracy.” The goal properly addresses Student’s need to understand the values of coins, and to develop a process that would enable him to solve word problems. 37. At the hearing, Mother’s disagreement with the comments on the pages describing Student’s present level of functioning in the area of math was that in the areas of math calculation there was no information as to what activities were used to measure his present levels of functioning. Further, it was not reflected that he had mastered his multiplication time tables for zero, one, two and five, and that he was able to carry and borrow in subtraction and addition. In the area of math reasoning, she was concerned that no math curriculum was referred to in the discussion of his current functioning, and information had been carried over from his previous IEP. However, even if the information in the disputed pages was incomplete or inaccurate, the math goal in the February 17, 2011 IEP, addressed one of Student’s needs, and met all legal requirements. The District established through the testimony of other witnesses that baselines contained in the IEP were accurate, they were not written in a manner that denied meaningful parental participation in the IEP process, nor did they deny Student a FAPE, and the resulting goals were measurable and addressed Student’s areas of need. 38. An IEP is an educational package that must target all of a student’s unique educational needs, whether academic or non-academic. The term “unique educational needs” is to be broadly construed and includes the student’s academic, social, emotional, communicative, physical and vocational needs. 39. For a school district’s IEP to offer a student a substantive FAPE, the proposed program must be specially designed to address the student’s unique needs, and must be reasonably calculated to provide the student with some educational benefit. 40. Some children with autism have difficulty with transitions. If a student requires a transition plan to make an adjustment to something new, it is a denial of a FAPE if a transition plan is not developed. Student contends that the February 17, 2011 IEP, denies him a FAPE because it does not contain a transition plan for the change from Genesis aides to Learning Solutions aides. However, the District established that Student did not need a transition plan when Learning Solutions replaced Genesis. 41. Student had 10 different Genesis aides and four or five different Genesis case managers from the beginning of the 2006-2007 SY, when Genesis began providing him with these services, to February 17, 2011. Only during the 2007-2008 SY was there any difficulty with Student transitioning from one Genesis aide to another. In fact, from the beginning of the 2010-2011 SY, to February 17, 2011, when Genesis ended its services to the District, Student had four different Genesis aides. On February 14 and 15, 2011, a Learning Solutions aide shadowed Genesis aides in an effort to familiarize the new aide with Student, his needs, and the duties the new aide would be assuming. There was no evidence that Student exhibited any sign of disturbance during these two days as a result of this. Further, the evidence established that Student was not as dependent on his aides as Mother seemed to believe. 42. Although there was evidence that a transition plan might have been required if the District was replacing NPA aides with its own aides, the plan was needed to ensure that District aides were properly trained. The evidence established that Learning Solutions aides had the same, or better, training than Genesis aides, and also established that they met all legal requirements. 16 A transition plan was not required because Student had no difficulty transitioning from one aide to another. Therefore, the evidence established that the IEP offer of February 17, 2011, did not require a transition plan when Genesis aides were replaced by Learning Solutions aides. 44. In his closing argument, Student argues that the District’s proposal creates too many transitions for Student, and therefore he needed a written transition plan in the IEP to get used to the District aide over time. The frequent transitions were described by Student as the transition from the Learning Solutions aide to a District aide 15 minutes before lunch, the transition from the classroom to lunch, then the transition from lunch to recess when the Learning Solutions aide would replace the District aide 15 minutes after recess began. However, there was no evidence that Student had any serious difficulty during this school year transitioning from the classroom to the lunchroom and then to recess. 45. Saxony Dominguez, a Learning Solutions behaviorist with a master’s degree and certification as a behaviorist, who was to become one of Student’s behavioral consultants for the NPA, observed Student on two separate days prior to the February 17, 2011 IEP team meeting. She testified persuasively that Student did not appear to have any serious difficulty transitioning from the classroom to lunch, or from lunch to recess. In the lunchroom, Student was seated at a table with classmates, while the Genesis aide went to the other side of the lunch room to eat lunch. The Genesis aide was also separated from him when the class then left the lunchroom for recess on the playground, although he occasionally checked-in with her during recess. Student was observed to be playing tag with, and interacting with other Students, not walking a dirt area on the perimeter of the playground by himself and scripting, as he was reported to have done in previous school years. As discussed above, the evidence established that Student only had difficulty transitioning from one aide to another only in during the 2007-2008 SY. Accordingly, Student did not establish the need for an extensive transition plan for the use of a District aide for the 30-minute lunch period the Learning Solutions aide was legally required to take. 46. At hearing, Student also questioned the training received by District aides that would enable them to work with autistic children, and specifically with Student. However, Ms. Taylor testified persuasively that aides who work with autistic children receive, in addition to the formal training they were required to have to become an aide with the District, three days of classroom instruction about autism. Further, before a District aide is assigned to a specific child with autism, a behaviorist or the case manager will provide additional training specific to the student’s unique needs. Based on the foregoing, the District’s offer for a District aide to support Student for 30 minutes a day while the NPA aide took a lunch break was reasonably calculated to provide some educational benefit, offered a FAPE and did not require a transition plan. 17 Student did not present evidence as to why the Genesis aides did not take a formal 30-minute lunch break when they worked with him. 47. Whether, and how, a special education student can be disciplined, if the student with a disability is to be suspended for more than 10 days or expelled, is dependent upon a determination at a manifestation determination IEP team meeting, where it will be decided whether the student’s conduct was related to his disability. If a student with a disability has a behavioral support plan (BSP) or BIP, disciplinary measures must be in accordance with the student’s behavioral plan. 48. Student has had a BIP that was created by Genesis no later than 2008. 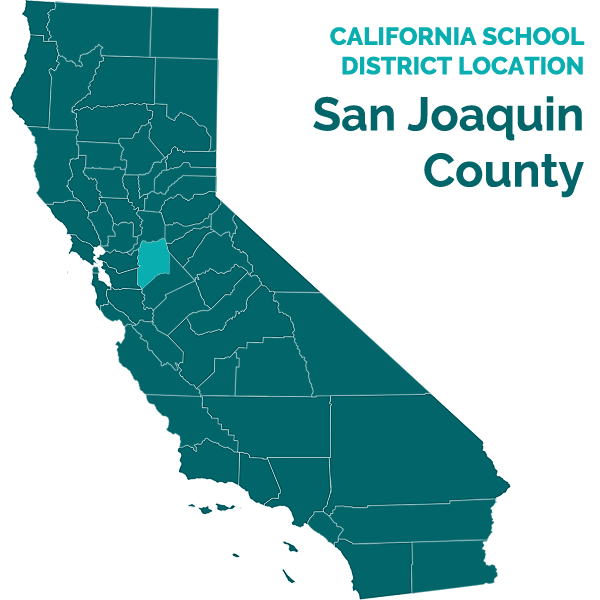 In the IEP developed in November and December 2009, the District transferred the provisions of that BIP onto a form developed by the San Joaquin SELPA, and the SELPA BIP became part of that IEP, and every IEP thereafter. When that happened, the following phrase was also entered into the BIP: “Optional[:] . . . Any necessary further or school consequences[:] Personnel should follow classroom and/or school consequence and/or disciplinary procedures.” Student contends that this language, which continued in the February 2011 IEP, makes it possible for the District to “strip” Student of his IDEA protections. This interpretation of the aforementioned language in the IEP is incorrect. What this language means is that if Student’s BIP does not control his behavior in a particular instance, he may be subject to the same disciplinary actions as typically developing classmates, such as being sent to the principal’s office, or suspended for a day or two. However, this language does not permit the District to ignore the disciplinary provisions of the IDEA which are mandated by state and federal statutory and regulatory law. 49. There was no evidence that Student was ever subjected to behavioral interventions other than those called for in his BIP. There was no evidence that he was ever subjected to school or District disciplinary policies. Nor was there any evidence that the District intended to ignore the IDEA when disciplining Student. Accordingly, this provision did not invalidate either the BIP, nor violate the protective provisions of the IDEA, and District’s February 2011 IEP offered a FAPE as to the application of disciplinary procedures. 1. Under Schaffer v. Weast (2005) 546 U.S. 49 [126 S.Ct. 528, 163 L.Ed.2d 387], the party who filed the request for due process has the burden of persuasion at the due process hearing. The District filed for this due process hearing and bears the burden of persuasion. Issue 1: Did the District’s February 17, 2011 IEP offer deny Student a FAPE, because the District did not make a timely IEP offer? 6. School districts are required to have an IEP in place for each eligible child at the beginning of each school year. (34 C.F.R. 300.323(a); Ed. Code, § 56344, subd. (c).) An IEP must be reviewed at least annually to determine whether the annual goals are being met, and at that time, the school district must revise the IEP as appropriate to address any lack of expected progress, new assessments, information provided by parents, the child’s anticipated needs, or any other matter. (34 C.F.R. 300.324(b)(1); Ed. Code, § 56343, subd. (d).) An IEP team meeting must be held at a time and place mutually agreeable to the parties. (34 C.F.R. 300.322(a)(2); Ed. Code § 56345.1, subd. (c).) However, neither the IDEA, nor California law require an IEP to be completed within a specified period of time. 7. As established by Legal Conclusions 2-6, and Factual Findings 6-20, Student had an operative IEP at the beginning of the school year, the IEP of May 14, 2010, and the District timely convened the IEP team meeting in November 2010. The length of time it took for the District to make an IEP offer, which did not occur until February 17, 2011, was due to circumstances beyond the parties’ control, i.e., the unexpected hospitalization of Ms. Taylor’s parent, and the death of Mother’s parent, which required her to travel overseas for two weeks. There was a prior history of Student’s IEP process taking several months in previous school years, in part because multiple meetings had to be held, and also because Parents would often take days or weeks to agree to an IEP offer by the District. In regards to the IEP of February 17, 2011, the totality of the circumstances that lengthened the time to complete the process did not make that IEP untimely. Further, there was no evidence that Student was denied a FAPE because the District’s offer was not made until February 2011, because Student had IEP goals from the meeting of May 14, 2010, that were not obsolete. Issue 2: Did the District’s February 17, 2011 IEP offer deny Student a FAPE because the District predetermined a change in Student’s NPA providing him with services of a one-toone aide throughout the school day? 12. Legal Conclusions 2-4 and 8-11, and Factual Findings 20-25, establish that the District’s actions in regards to the termination of Genesis as the provider of aide services to Student did not constitute a predetermination of Student’s IEP that denied Parents meaningful participation in the IEP process, thereby invalidating the IEP of February 17, 2011. The District was within its rights to change from one NPA to another, and Student’s IEP permitted this change, and Student concedes this. OAH does not have jurisdiction to invalidate the District’s decision to contract with Learning Solutions, rather than Genesis. However, Student then argues that it was impermissible for the District to “predetermine” this change. This argument flies in the face of logic, and is unsupported by any legal authority. When the District and Genesis mutually terminated their contract, the District timely replaced the NPA by contracting with another NPA, Learning Solutions, and it legally did so. It is irrelevant whether the District “predetermined” this change. Issue 3: Did the District’s February 17, 2011 IEP offer deny Student a FAPE, because the District did not consider information about Student provided by Parents and the NPA, Genesis? 13. As established by Legal Conclusions 2-4, 5, and 8, and Factual Findings 2631, the evidence established that the District considered the views of Mother and Genesis personnel at the IEP team meetings between November 8, 2010, and February 17, 2011. Mother made frequent comments during the IEP team meetings, and her suggestions for changes in proposed goals were accepted. Genesis personnel presented reports on November 8, 2010, and February 17, 2011. On November 22, 2010, Genesis worked with the District to create a transition plan for Student, should the District decide to replace Genesis aides with District aides. The evidence established that the District considered information Mother and Genesis provided to the IEP team throughout the IEP process. Issue 4: Did the District’s February 17, 2011 IEP offer deny Student a FAPE, because the District developed his goals using inaccurate baselines? 16. As determined by Legal Conclusions 2-6, and 14-15, and Factual Findings 1-5, and 32-37, the District established that the annual goals offered in the February 17, 2011 IEP were reasonably calculated to meet Student’s unique needs related to his disability, were measurable, and complied with the law. The only testimony that supported Student’s contention that baselines were inaccurate was that of Mother, and she was not persuasive in regards to her objections to most of the contested baselines. Further, to the extent that a baseline was not totally accurate in describing an area of need, the District established that such a defect did not result in denying Student educational benefit or a FAPE, nor did it deny Parents meaningful participation in the IEP process. Issue 5: Did the District’s February 17, 2011 IEP offer deny Student a FAPE, because the District did not develop a transition plan for District aides taking over supervision of Student for 30 minutes each day so the new NPA aide could have a lunch break? 18. The law requires IEP teams to discuss transition needs when a child reaches 16 years of age (Ed. Code, §§ 56043, subds. (g)(1), (h); 56345.1), and when a child is transitioning from a non-public school program to a public school (Ed. Code, § 56345, subd. (b)(4)). However, there is no legal requirement that a student be given a transition plan when there is a change in service providers, unless one is necessary to meet the child’s unique needs. 19. Legal Conclusions 2-4, 14-15, and 17-18 and Factual Findings 38-42, establish that Student did not require a transition plan when the District replaced Genesis with another NPA to provide him with behavioral intervention services. Student had at least 10 different aides and four to five Genesis case managers from 2006 to February 17, 2011, when Genesis was no longer obligated to provide services to Student. He had no problems when Genesis changed aides or case managers, with the exception of one change during the 2007-2008 SY. There was no evidence that Student exhibited any signs of stress when his Genesis aide was shadowed by a Learning Solutions aide February 14-15, 2011. The reason for having a written transition plan for District aides to take over from Genesis aides was for training purposes. However, Learning Solutions’ aides were already appropriately trained when they replaced Genesis aides. The District’s IEP proposal of February 17, 2011, provided Student with a FAPE in regards to the change in NPA providers, and the District had no obligation to include a written transition plan in the IEP to assist Student with the transition from one NPA to another. Issue 6: Was the IEP offer of February 17, 2011, proper, even though it did not contain a transition plan for Student when the District decided to have District aides take over supervision of Student for 30 minutes each day so the new NPA aide could have a lunch break? 20. Legal Conclusions 2-4, 14-15, and 17-18, and Factual Findings 38-46, establish that the District provided Student with a FAPE in the IEP of February 17, 2011, in regards to the District providing him with one of its own aides to provide behavioral services to Student for 30 minutes each day so the Learning Solutions aide could take a legally mandated 30-minute break. There was no need for a written transition plan to facilitate this change. The District established that Student did not have difficulty transitioning from the classroom to lunch, and then to the lunch recess. It also established that Student could navigate these transitions without the intervention of an aide. When observed by Ms. Saxony, he was actively engaged in play with other children during recess, without the intervention of his Genesis aide. The evidence established that a District aide was qualified to provide Student with necessary services during this 30-minute lunch break for the Learning Solutions aide. Accordingly, the District did not need to have a transition plan in the IEP of February 17, 2011, for the use of a District aide each day so the NPA aide could have lunch. Issue 7: Did the District’s February 17, 2011 IEP offer deny Student a FAPE, because the District determined that school and District discipline policies would apply to Student? 22. As established by Legal Conclusion 21, and Factual Findings 47-49, the disciplinary language in Student’s IEP of February 17, 2011, was consistent with the IDEA and State special education law and therefore provided Student a FAPE. The language in his IEP concerning the use of school and district disciplinary actions, in the event that the interventions in his BIP were unsuccessful, did not deny Student a FAPE. The language in question did not require the District to take these disciplinary actions if the BIP interventions failed, nor did the language mean that the District could ignore the requirements of the IDEA in regards to disciplinary actions taken against a student with special needs. There was no evidence that the District had ever implemented these disciplinary practices in the past, or would do so in the future. Accordingly, the District provided Student with a FAPE when it included this language in the IEP of February 17, 2011. The District’s IEP developed between November 8, 2010, and February 17, 2011, offered Student a FAPE, and may be implemented in its entirety without parental consent. Education Code section 56507, subdivision (d), requires that the hearing decision indicate the extent to which each party has prevailed on each issue heard and decided. The District prevailed on each of the issues heard and decided in this case.